come with a shield jet flyer. 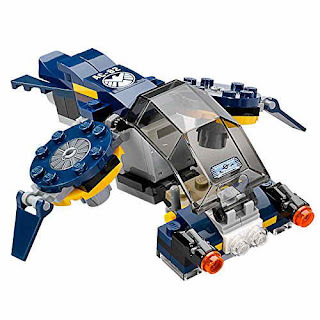 the flyer has an openable cockpit, adjustable wings, 2 stud shooters and a container for an extra stud shooter brick. 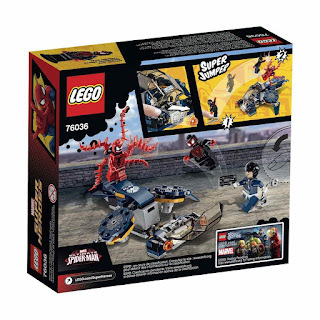 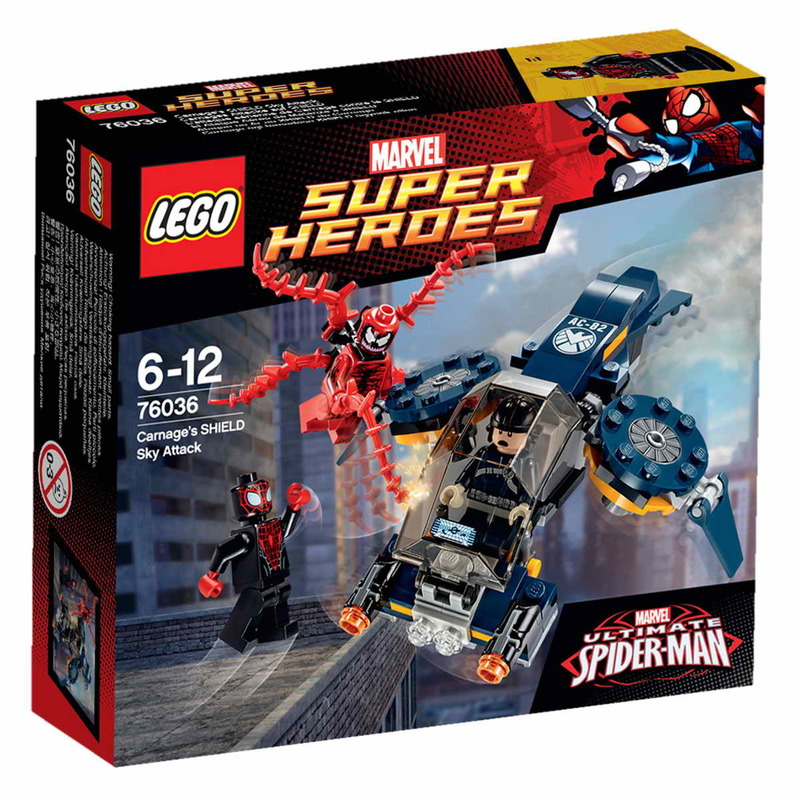 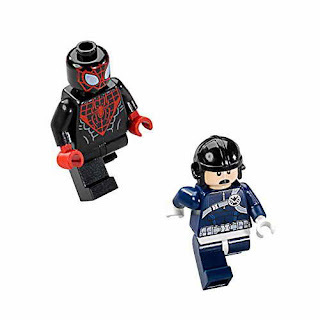 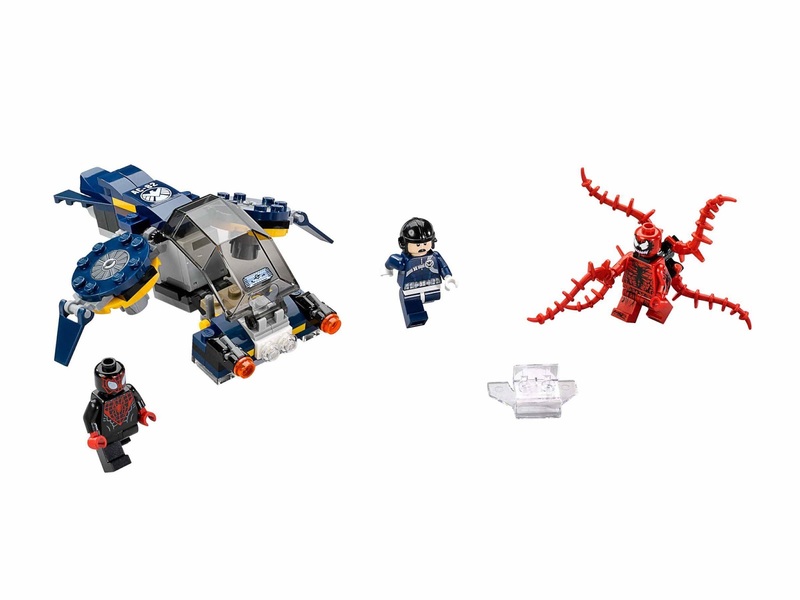 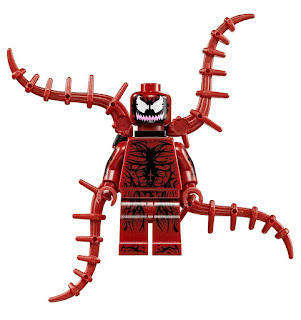 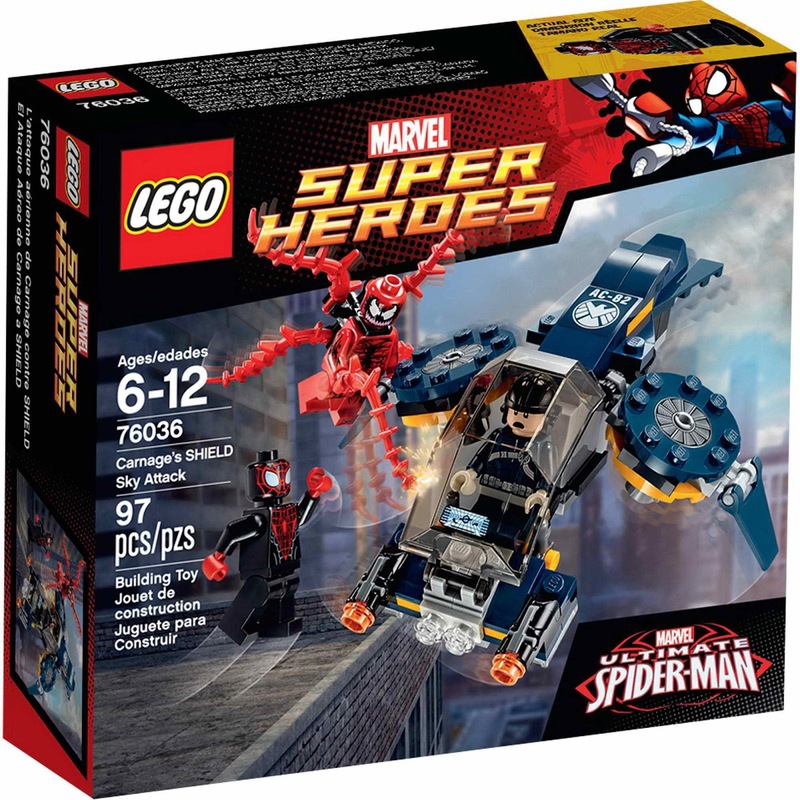 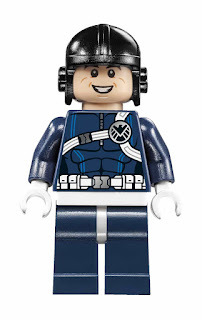 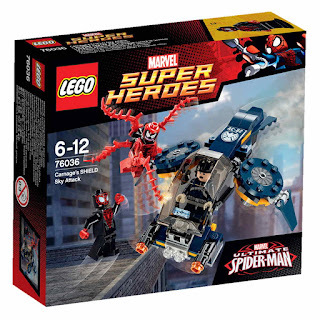 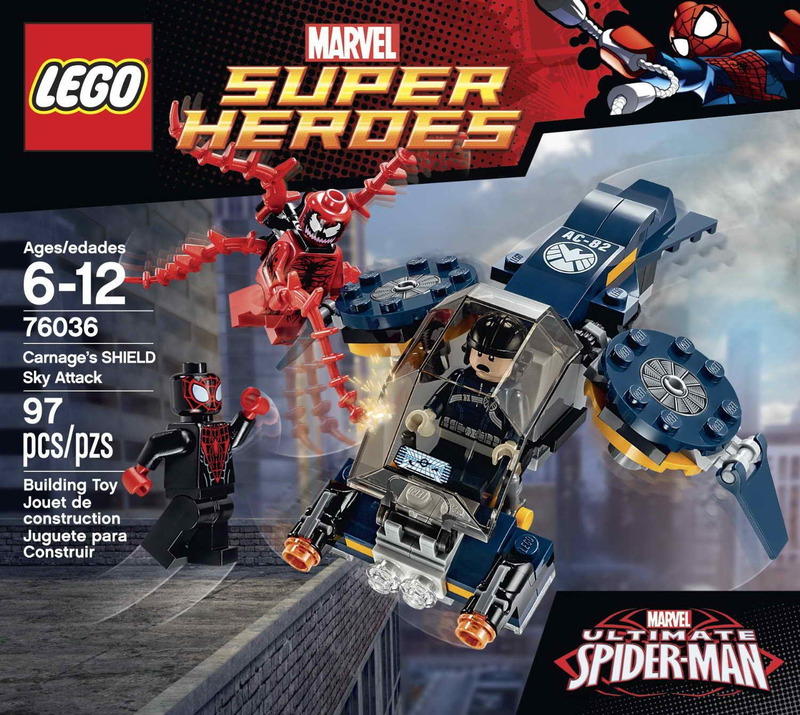 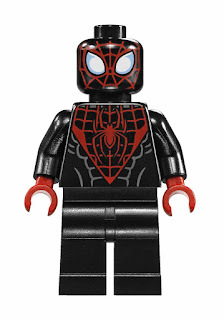 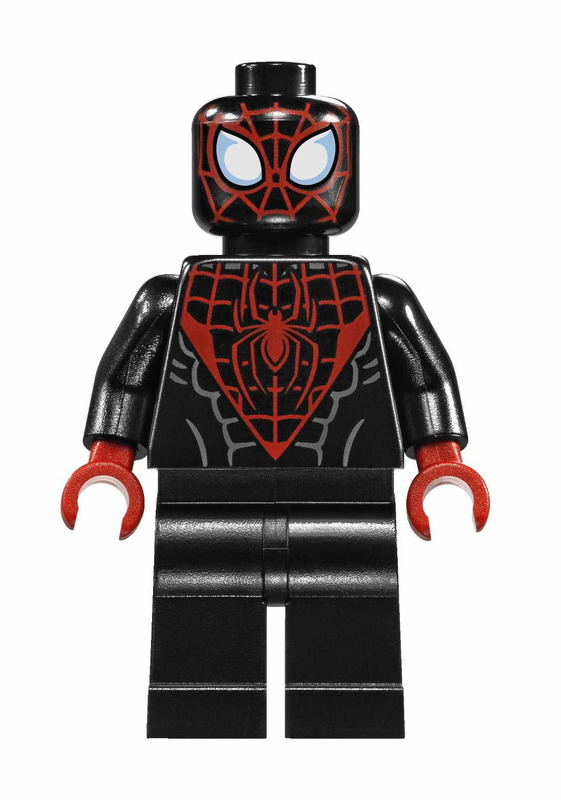 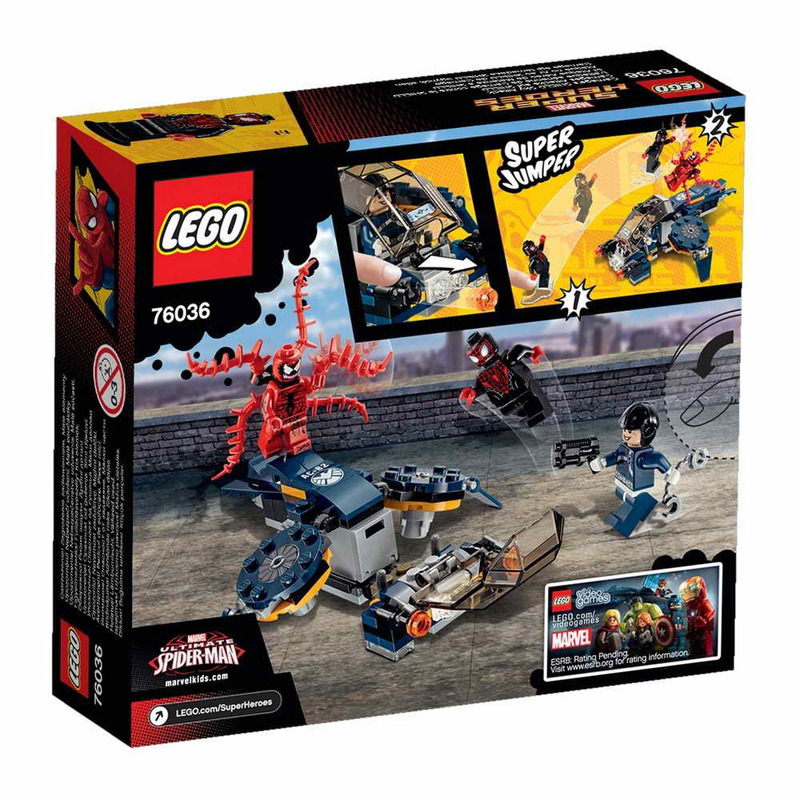 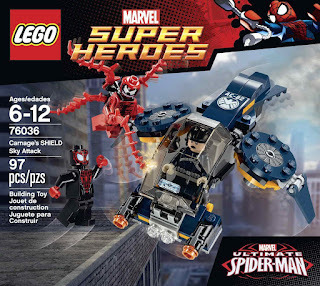 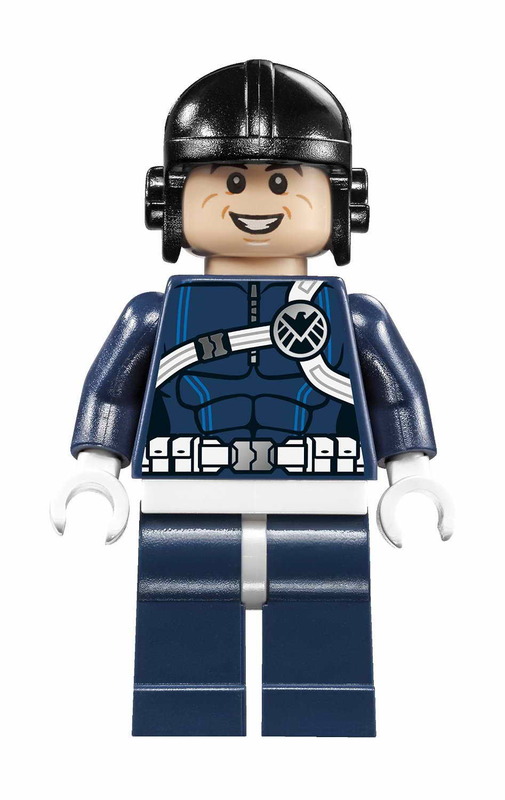 minifigs included a spiderman minifig, a carnage minifig and a shield agent minifig.